How much do you trust your supermarket brand of herbs – especially that bottle of oregano that you have in your cupboard? We’ve written previously about the disturbing study conducted on various supermarket brands of this herb which showed the majority were adulterated with sumac, olive leaf, grape leaf and other impurities. One study that was conducted at Queen’s University in Belfast found that up to 70% of some packaged oregano was not pure but instead contained dried leaf material other than oregano. If this is not bad enough, now another paper has been published on a similar subject in the peer-reviewed journal, Food Chemistry. The researchers analyzed various samples of what was labelled as oregano to determine the level of pesticide residues. What they discovered will shock and disturb you. Some Samples Of “Oregano” Contained ZERO Oregano! Beside discovering that two samples of oregano contained zero oregano, the researchers also discovered that all the oregano samples that had been adulterated with sumac, myrtle, grape and hazelnut leaves contained high amounts of Pyriproxyfen, a pesticide that is often used on some vegetables and fruit. 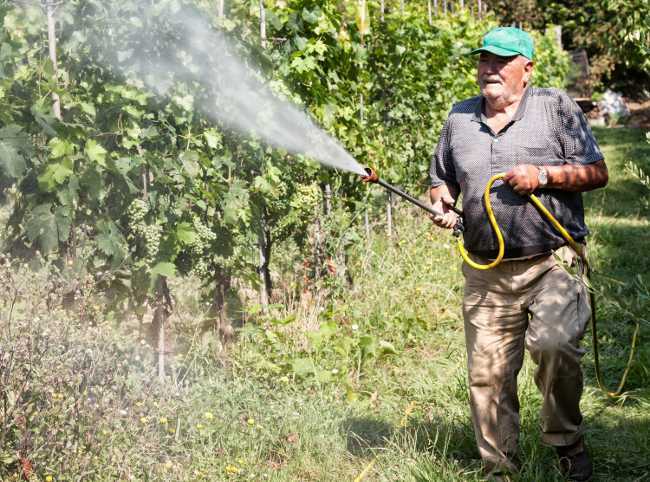 However, with vegetables and fruit, any pesticide residue or other impurities can be washed or rinsed with water to remove them. Washing or rinsing oregano and other herbs before use is of course, undesirable and impractical and will not remove impurities that are within the plant material itself. What was interesting to the researchers was that samples of oregano which were pure and unadulterated never contained any pyriproxyfen. This would make sense with the fact that those who care about the quality of their product and it’s purity also likely care about the origin and farming methods used to grow and harvest the herbs. Considering also that most commercial brands of oregano are from Turkey and India where there is a great deal of food fraud, it really is not surprising that you are probably purchasing an adulterated product that is also high in pesticides. While the study did not provide any data about the country of origin of the oregano samples they tested, we do know for a fact that most commercial brands of oregano originate in Turkey and India. Commercially harvested oregano in Greece is generally of much higher quality and the vast majority of Greek farmers use their own products as well as selling them, and much more care is taken. Even farmers not certified as “BIO” (or organic) generally use organic methods of growing fruit, herbs, and vegetables. In addition, we know where our products come from and they have been lab tested by the Greek Allergins Food Lab for purity and chemical residues. KirIan Greek oregano has been certified and its quality and purity are unquestionable. It is a commitment that we have made, not just to you but to ourselves as we use our own products daily! Besides the purity and quality of our Greek oregano, you can also count on the taste! Some commercially purchased oreganos have little taste; we even tried one purchased in Ontario that had a scent and taste of dried hay. KirIan oregano, on the other hand, is unmistakably pure, bold, and worthy of any gourmet dish and is also wonderful when used with simple meals to add a delicious complexity of flavour. Others agree with our assessment and you can read the Testimonials page to see what others have said. Why not also visit David Farrel’s site and read his review? In addition to Greek oregano, our thyme, bay leaves and saffron are also of the utmost highest quality that can use in the dishes you take pride in creating and serving! Food fraud in oregano: Pesticide residues as adulteration markers. University of Chemistry and Technology, Prague, Faculty of Food and Biochemical Technology, Department of Food Analysis and Nutrition, Technicka 3, 166 28 Prague, Czech Republic.